The big story of the Los Angeles Lakers’ 121-113 comeback victory over the San Antonio Spurs was LeBron James taking over in the fourth quarter with 20 points. 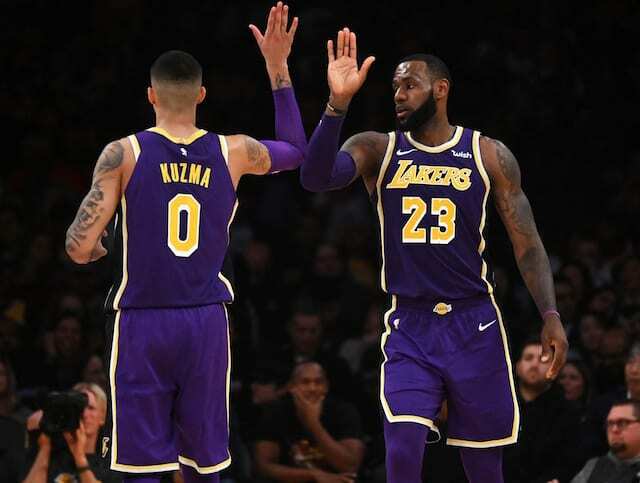 But without a doubt, James had some help from Kyle Kuzma, Lonzo Ball and Josh Hart all made huge plays down the stretch. Hart struggled with foul trouble all night, but knocked down two big 3-pointers. Ball hit a couple triples as well and made some big passes, while Kuzma continued to prove he’s more than a scorer with big-time assists and hard-nosed defense on Spurs star DeMar DeRozan. The young core stepping in key moments was noteworthy enough that James highlighted them when asked if the game provided any sort of vindication in light of questions over his workload. “No. For what? I’m past the personal stage. I can do whatever,” James said. “What’s most important is seeing my teammates make huge shots in the fourth quarter. There’s certainly been some questions about James needing to take over games for the Lakers more than the team would like. There are questions about how ready the young Lakers are for the big games they will see in the future, but nights like Wednesday have to give everyone confidence. Nevertheless, it was James who spearheaded the Lakers’ fourth-quarter comeback and that is something he remains willing to strive for. “It’s the fourth quarter and my teammates look at me to make plays,” he explained. The young Lakers may not quite be ready, but they showed what they are capable of. 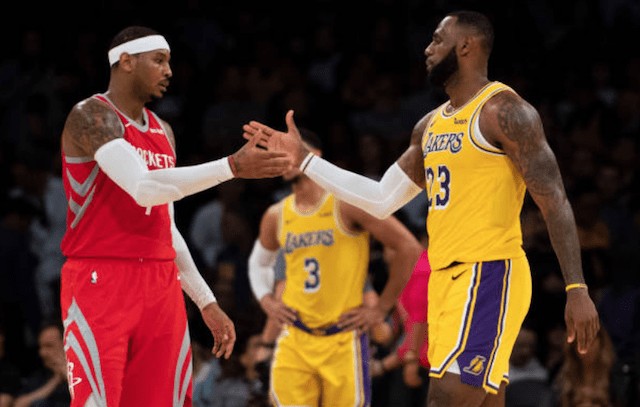 As they continue to develop, and James keeps playing at this high level, the Lakers could very well be closer to championship contention than many believe.